What happens when you throw a Living Legend and The World’s Most Dangerous Band in the studio together? Find out in this video. 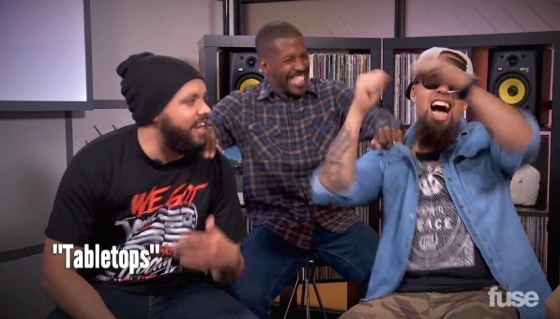 In this episode of fuse’s show “The Mixdown”, MURS and ¡MAYDAY! break down the stories behind some of the songs on the hotly anticipated joint album ¡MURSDAY!. Find out how the record’s summer party vibe was created as MURS, Wrekonize and Bernz spit game on the project’s creative process. ¡MAYDAY! x MURS – ¡MURSDAY! ON iTunes! What do you think of the chemistry between MURS and ¡MAYDAY! ?